Denture Basics: Do I Need Them? What Kind Is Best? When periodontal disease, injury or other causes of tooth loss rob you of your smile, affordable quality dentures can give it back to you. Dentures are artificial teeth designed to replace one or more natural teeth. They look and feel similar to your own teeth, and they can restore your ability to chew and speak correctly. Two basic types of dentures are available to restore your smile. Partial dentures are attached to metal pieces that connect to the teeth still inside your mouth. Full dentures are appliances that can be removed. They fit inside your mouth when all of your natural teeth have been lost or extracted. Anyone who has lost their teeth can benefit from tooth replacement. While there are several restoration methods available, it’s important to consider your individual circumstances, your budget, and other factors that affect your choice. If you’re not sure whether dentures are the right choice for you, talk it over with your dentist. 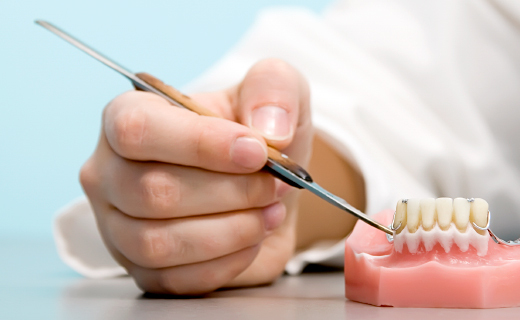 Once you decide to get dentures, choosing the best dentures for your needs is also important. Partial dentures are most suitable for people who have lost no more than half of their natural teeth. If you’ve lost a few teeth, wearing partial dentures can actually help protect your remaining teeth and keep them healthy. When Are Complete Dentures the Best Choice? Complete or full dentures are the best option when you’ve lost all your teeth, or they all need to be extracted due to severe disease. Tooth loss occurs naturally with advancing age, but complete dentures allow you to eat and smile with confidence throughout your golden years. Many people feel nervous about getting dentures, so if you’re worried, you’re not alone. Talking with your dentist or friends and family members who already have dentures can help put your mind at rest and prepare you for all the great benefits dentures offer.